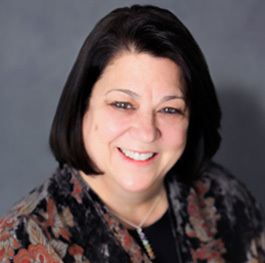 Lynn Perrin Wilhousky received her degree in clinical social work from University of Connecticut. She has been working in the field of mental health for over 30 years. She has experience with individual, family and group treatment of adolescents and adults, working as a therapist in both public and private settings. In addition to her clinical experience, she has taught and supervised clinical interns and provided consultation to a variety of public and private agencies. Lynn is a Licensed Clinical Social Worker and holds a certification in Evidence-Based Trauma Treatment and Interventions. Through a blend of psychodynamic and cognitive behavioral approaches, Lynn specializes in the treatment of adolescents, families and adults struggling with depression, anxiety, trauma, grief, loss and life transitions. She believes in working with every client as a whole person, not just as a collection of symptoms. Her approach is compassionate and collaborative. Together with her clients, a plan will be created to facilitate healing and develop new tools to empower you to achieve a life that feels balanced, more peaceful, and sustainable.